OG Maco was in a serious accident over the weekend and is scheduled to have multiple surgeries in the upcoming weeks, he says on his Twitter page. One of his posts references Kanye West’s “Through the Wire” lyric, “Thank God I ain’t too cool for that safe belt,” possibly implying he was in a car crash. 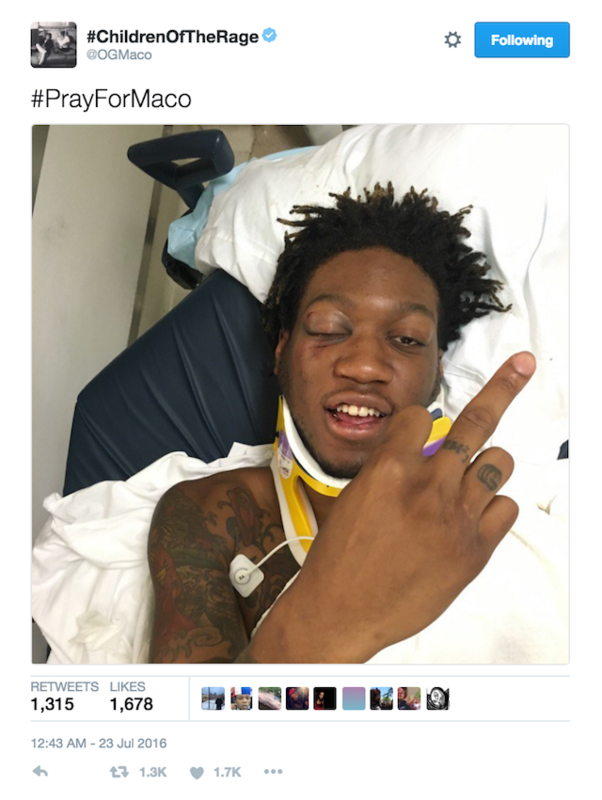 A month after releasing his OG Maco 2 mixtape, the 24-year-old posted a picture Sunday of himself on a gurney with a neck brace, a black eye and a middle finger to the camera. “#PrayForMaco,” he writes for the caption. 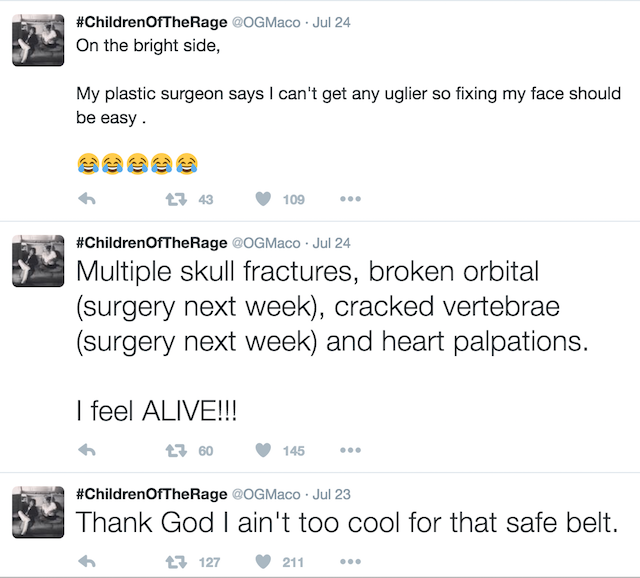 In his later posts, OG Maco reports his injuries as multiple skull fractures, cracked vertebrae in his spine and heart palpitations. He says he is scheduled for surgery next week for the broken bones. “I feel ALIVE!! !” he writes. “On the bright side, My plastic surgeon says I can’t get any uglier so fixing my face should be easy,” he writes with laughing emojis. 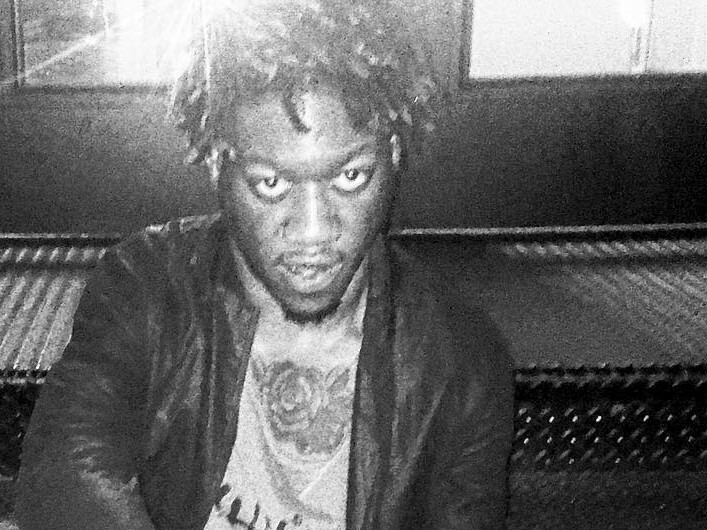 Ash Riser, an OGG representative, confirms that OG Maco is scheduled to undergo two surgeries and gives an update on his current condition. Praying he gets well soon! UPDATE: This article was updated with the quote from OGG.